Mardi Gras: The amazing Mardi Gras in New Orleans is one of the most exciting and fun parties in the world. Many people from all over the world come to New Orleans to experience Mardi Gras. When you experience Mardi Gras, you will enjoy wonderful blues and jazz in the French Quarter. As well, the streets are filled with partiers wearing fantastic costumes. Make sure you acquire many beads when partying and take a walk down exciting Bourbon Street. Sundance Film Festival: The Sundance Film Festival in the great state of Utah is the event where you can see great films as well as A-list celebrities. The festival is held each January in Park City and is dedicated to showing and promoting independent films. 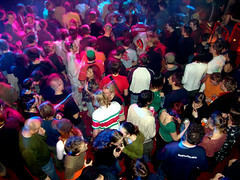 People from all over the world attend the Sundance Film Festival. 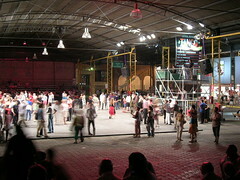 Buenos Aires Tango Festival: Argentina's capital, Buenos Aires, is the place to tango. Fantastic dancers perform and celebrate the tango. Both the locals and tourists can participate in free tango lessons. If you love dancing, the Buenos Aires Tango Festival is the event for you. Bluff International Balloon Festival: The Bluff International Balloon Festival is a popular event where hot air balloons from all over the world participate in the event in January. Visitors can take part in programs that support local park restoration, educational programs, and art programs. Shetland's Viking Festival: The Shetland Viking Festival in Scotland features guys dressing up like Vikings, lively parades, and the world's largest fire festival. You can experience the fire festival on the last Tuesday of January. Every year, people from all over the world, travel to Scotland to experience Shetland's Viking Festival. Frozen Dead Guy Days: Totally weird, a resident of a Colorado community once kept her frozen father's body in a shed in her backyard. Authorities enacted a law against keeping a frozen body, but the community managed to keep one exception for the woman's father. Twenty years after his death, the community celebrates 'Frozen Dead Guy Days,' weekend every March in Nederland where a number of activities take place such as: polar plunges, snowshoe races, and coffin racing. 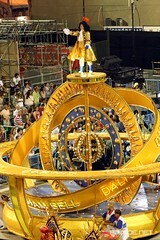 Carnaval in Rio: Carnaval in Rio de Janeiro is a week long pre-party. The event takes place for 4 days and ends the day before Ash Wednesday. It is famous for its drag queen show. Costumed party-goers celebrate along the streets and the Samba Parade is a fun celebration. With so many parties, parades, and entertainment activities, visiting a winter event destination will definitely chase the winter blues away. Whether you are in the mood to party or create really cool snow sculptures, there is a winter activity out there that you will love. The next time you take a winter vacation, consider one of the top winter events from around the world. Find cheap flights and compare ticket prices online at Cheapflights, providing the best selection and availability of [http://www.cheapflights.ca/]cheap flights and [http://www.cheapflights.ca/hot-deals/]cheap last minute travel flights. Ha! North America has better, more bopping party cities than any in the world. Who needs a plane ticket across the ocean, when the parties are all happening right here? 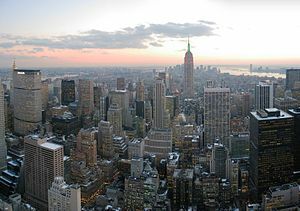 NEW YORK, New York is the Big Apple. Fortunately, it is not distinguished for its nutrition, but rather as the city with the most bars and clubs in the United States. There are always plenty of parties going on. CALGARY, Alberta, is known as Cowtown because of the famous Calgary Stampede, a 10-day rodeo that draws millions of people to the city. Even if country music culture is not your style, the after-rodeo parties are epic. These days, the Stampede is as much about the parties as it is about the rodeo. CHICAGO, Illinois is not only known for its deep-dish pizza and molecular gastronomy, but it is also known for its parties. Let's face it, pizza and parties go hand in hand. Does molecular gastronomy go hand in hand with partying? Not sure. But whether you will be packing the clubs until five AM, or spending the whole summer at outdoor festivals, you will definitely have a party-good time in the Windy City. TORONTO, Ontario, is known as "The Big Smoke" for its pollution and "Toronto the Good" for its lawfulness. But those are not the reasons why Toronto is the largest city in Canada - it is because so many people have gathered to party together. LOS ANGELES, California, is home to the silver screen - and every barkeep, waitress and bellhop is a hopeful actor or actress. This is the ideal place to party for future bragging rights. Party in Los Angeles enough and one day you'll be telling everybody, "I know that superstar. She served me a beer when she was younger." MIAMI, Florida is home to all sorts of party goers, from the Fort Lauderdale yacht club jet-setters, to the get-down-and-dirty dancers in the Latin dance clubs. Then, find a party on the beach. If you like sun, and you like fun, you will love Miami. ATLANTA, Georgia is known as the Capital of The South. Although tourists often come here to enjoy the Atlanta Zoo and the Georgia Aquarium, you can tell the true party animals come alive at night in the downtown Atlanta's nightlife. MONTREAL, Quebec, has a world-famous bilingual nightlife, where the legal drinking age is 18. People come from around the world to join the locals for the drinks at the many bars and night clubs, but they certainly stay for the beautiful French women... er, I mean culture. BOSTON, Massachusetts is the Athens of America. Each September (Let the party begin! ), it is flooded with a fresh crop of students from around the world, drawn to Boston's prestigious colleges. With them comes a rush of cultural enthusiasm, which has spawned everything from music festivals to hip clubs and Irish pubs. VANCOUVER, British Columbia, hosted the 2010 Winter Olympics - that was one big party. From what we hear, they have not stopped partying since. Vancouver parties are laid back, so relax and party. LAS VEGAS, Nevada, is a party capital. Any place called Sin City doesn't go light on its parties - but it does cost a bit to party in Las Vegas. Just remember the saying, if you go a little overboard in your partying, "What happens in Vegas stays in Vegas". David Leonhardt writes for the [http://www.barwhiz.com]Directory of Bars and Nightlife, highlighting some great nightlife in North America, including [http://www.barwhiz.com/canada/calgary/]bars in Calgary. First of all I want to start by saying that these are my own picks. I didn't do any research on the top cities to party in or anything like that. These are places I've spent time at and love. I think its better like that anyway, all about the experiences and sharing them with you. There's gonna be some off the wall spots on here you probably never would expect. I used to party a TON though so trust me on this. And granted there are plenty of others cities I've been to that could have made it on this list. But I picked the top ten that popped into my head first of all. So these are my top 10 choices for the best cities to party at. 10. Lima Peru - This hot South American is bustling with life. I first hit Peru back in 07 I think it was, I gotta say for the men Peruvian woman are gorgeous, and for the ladies Peruvian dudes are good looking cats, South Americans in general are hot blooded and like their parties. We would never even head out until well after midnight and then wed party all night and hit the DiscoTechues at like 8 in the morning. I highly recommend this for anyone looking to have some fun in another country with some great people. Head over to Mira Flores the major tourist hub in Lima and check out Aura and Gotica Nightclubs. These two of the larger and more trendy nightclubs in the area. 09. Mobile Alabama - Most people don't know this, but this is the home of the original Mardi Gras, it started back in 1703 and is the oldest Carnival Celebration in the United States. There are plenty of tanned bodies on the Gulf coast always looking to have a good time. Downtown Mobile has a ton of character, and you get tons of young par-tiers coming Pensacola Florida (Another Hot Spot). And more from Gulf Shores Mississippi, this whole area is one big party really. Head on down to Mobile during the first week of October for BayFest Music Festival. Its largest music festival in Alabama, upwards of 125 bands over a three day period. Good times good food, and good people. 08. Santa Barbara California - This place has it all, a beautiful downtown, and State Street is off the chain. Buy Designer clothes by day and party by night. I've spent a lot of time partying here, and granted its been a while. Things haven't changed. If you're looking for more of a house party and college party type scene head to I.V. or Isla Vista for the younger crowd and streets packed with par-tiers until the wee hours of the morning. 07. Hollywood California - Alright I couldn't leave this off, land of the beautiful people. Rock Stars, Celebrities, and famous people of all sorts. Hollywood is famous for a reason. There are endless clubs and bars, whatever you're looking for. 06. Juneau Alaska - Believe it this place is out of control, I had to throw this on here to encourage people to head to Alaska. The capital city has an unbelievable party scene. Especially in the summer time, during the peak of summer its not uncommon to have an extra 30,000 people in town from the cruise ships. And Alaskans in general love to party, the beauty of Juneau is that everything is conveniently located in about three or four square blocks. I know this down sound like much, but there are more than enough establishments in this area. And when done partying for the night, head over to Pel Minis for some Russian dumplings. 05. 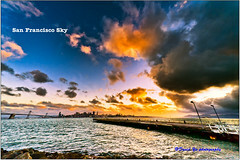 San Francisco California - This is probably my favorite city in the world. Broadway is out of control and Chinatown is just crazy. Remember Big Trouble in Little China with old Jack Burton? Well its not quite the same as it used to be, but its still wild. And SF is just a fun city to visit, the culture, the music, and food, everything about it. And yes the clubs and nightlife. Being from California and haven't spent a good amount of time all over the state, my hat go offs to SF for being so unique. Don't get me wrong So Cal is great too, but there's something about the whole Bay atmosphere that hits home. Maybe its because I was born right next to SF, but I cant think of anyone who would ever disagree about SF. Make sure while you're there you see Broadway at night, and if you're a little seedier action there's always the Tenderloin But I don't recommend that area for the faint of heart or just anyone. 04. Portland Oregon - Gotta love this city, land of the free spirits and flower children. Portland is definitely a young new wave town. Very modern, and extremely liberal, its got a great nightlife and very good food. On a side note, Portland is takes the reins for the most exotic Dance Clubs within a city limits in the entire United States. Yes lots and lots of Strippers, its a fun city though than that. You a Fan of Whiskey? Check out the Multnomah Whiskey Library. And after a big night of partying have some steak and eggs while watching the lovely woman of the Acropolis Club in Southeast Portland. Well they could be lovely at nine in the morning after a night of drinking. 03. Gothenburg Sweden - This is where I actually call home right now. And let me tell you that if you're looking to party with the seriously beautiful people, then Sweden is for you. Swedish people are just beautiful in general. And they know how to have fun; they are a bit more reserved at first. But once they open up, its game over. Gothenburg is second to Stockholm in size, and while I haven't been to Stockholm yet to compare. Gothenburg will always hold a place in my heart. If you're looking for some good live rock there's always Stick Fingers. And if you're covered in tats like me, theres the rock bar which is right up your alley. On the other hand if you're looking for a more club scene type thing go except, you wont be disappointed. 02. Austin Texas - I was very surprised by the downtown area of Austin. Wow, this place had a great nightlife, and tons and tons of clubs and bars. Fridays and Saturdays they shut down all of Sixth Street and the place is packed with par-tiers for blocks and blocks. If you're looking to some ladies dancing on the bars, check out the world famous Coyote Ugly. This place is great fun, good drinks, and wild as ever. I actually got hand cuffed there and took body shots off of a bartender, it was pretty funny. 01. London England - OK, this is the height of it all for pretty much everything. London is like San Francisco jacked up on juice. No joke, there are too many places to name here, but you gotta make sure and go to Piccadilly Circus. Whatever you're looking for London has it, I've never seen a more culturally diverse city. There are people from everywhere in this city, and during the day there is so much to see. I suggest before you go out partying check out the open market at the Camden Lock. This market had everything and awesome street food. I could imagine what the open markets must have been like 2000 years ago. It was kind of like the troll market from Hellboy 2, minus the trolls. So These are the top 10 cities for partying in the world in my opinion. I'm sure everyone has their own. And I cant say anything about Asia or Australia as I haven't been there yet. Bali is next on my list; Ive grown into some different interest these days. But I still love a good party. Always looking for that next big party? But cant seem to fund your next adventure? I used to have that same problem. And then I started blogging and working online. Now I get paid to blog and work online. Campania is a region in southern Italy. The capital is Napoli also known as Naples. It is considered the second capital of Italy. Its geographic position makes it one of the best destinations for tourist, not to mention the archeological treasures it holds. Most parts of this region are characterized by the presence of many mountains. Masses of volcanic origin can be found on the coastline. 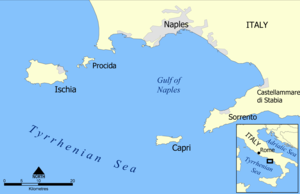 The archipelago is composed of the major islands of Capri, Ischia and Procida. There are other minor isles which are Vivara and Nisida connecting between each other and to the mainland. Along the coast are the charming towns of Sorrento, Amalfi and Positano. Ravello is 350 meters high on the Amalfitana coast featuring an exclusive destination of interest worth visiting due to its elevated position which offers clean environment, accommodation and hospitality facilities. You can visit the excavation sites of Ercolano and Pompei which are of great historic importance due to their archeological patrimony. Visit Vesuvius and admire its National Park. The cuisine is well bound to the products and traditions of the region. The origin of many dishes from this area is Greek. The exceptionally good taste of food is owned to the fertile volcanic soil of the region. In fact, all fruits and vegetables from this region are highly demanded in other regions for their good quality. This can be considered the home of Italian Pizza. The symbol of the cuisine is without doubts the Pizza Margherita, prepared with tomato, mozzarella and basil. Other dishes include Cervella alla Vesuviana (veal), Minestra di Riso Napoletana (soup with caciocavallo cheese), Calamaretti all'Amalfitana and many other dishes prepared with cuttlefish, clams and local octopus. Outstanding red wines include Vesuvio, Taurasi and for white, Greco di Tufo, Fiano di Avellino and Lacryma Christi. Procida Island, with its 4.1 square kilometers, is the smallest of the islands in the Gulf of Naples. It is the ideal place to spend a relaxing holiday. Coming from the ports of Naples or Pozzuoli, the maximum time spent on a ferry is no more than an hour. The arrival at the island, with its colorful houses overlooking the Marina Grande, attracts the sight and the mind of tourists immediately. On the waterfront there are bars, restaurants, souvenir shops and in the evening it becomes a destination for the islands' nightlife. The flat morphology and spontaneous architecture make Procida Island a natural movie set. It has hosted famous movies such as "The Postman", "The Talented Mr. Ripley" and "Francesca and Nunziata". The highest part of the island is dominated by Avalos Palace. It dates back to 1563. It's citadel is surrounded by fortified walls to defend it from the Saracens. The Royal Palace of the Borboni with Carlo III has been transformed into the prison of Ferdinando II and then into a maximum security prison which eventually closed in the late 80's. The cultural and religious center is the Abbey of "San Michele Arcangelo", a Benedictine foundation which dates back to the 11th century. Inside the Abbey there are alters, paintings and statues. On the lower floors, there is a secret library that contains 8000 books and ancient manuscripts. The quaint and picturesque fishing village of Marina Corricella is the oldest port of Procida. It can only be reached by going through the houses that are on it. 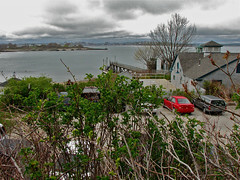 The harbor has been inhabited by fishermen and their families for generations. It is very pedestrian-friendly, as the port is exposed to the sun for several hours a day which makes it a nice walk in the winter and autumn. There are some excellent restaurants that have menus offering their catch of the day, along with seasonal local produce. This is all a stone's throw away from the sea. Procida is a volcanic island so its beaches contains dark sand. The west coast, from Ciraccio to Ciracciello, is plenty of beaches and restaurants. From this area, you can watch spectacular sunsets. In the afternoon if the Maestrale wind blows, you will see surfers and sailors. You can also see Vivara, which is a natural oasis which is connected by a bridge to Santa Margherita. Ischia can be seen in the background as well. The inland areas of the island are less known because it is simply inhabited by residents. There you can find the lighthouse, the Cottimo and the Starza. It is mainly a rural area which used to be covered in vineyards. Via Vittorio Emanuele, the ancient road from the port to the inner part of the island, connects to Via Flavio Gioia which comes from the heart of the island to Piazza Olmo. On this area, you can find some Apartments in Procida. The location of this area is perfect as you can walk for less than 5 minutes to the village of Coricella, Chiaia Beach, and Ciraccio Beach. Piazza Olmo, which is in walking distance, is a popular area of the island. It is accessible by all bus lines. On this area, you can find some [http://www.visitprocida.co.uk]Accommodation in Procida. The location of this area is perfect as you can walk for less than 5 minutes to the village of Coricella, Chiaia Beach, and Ciraccio Beach. The Romans have been a festive lot since ancient times, when the Eternal City's marble-lined streets played stage to triumphant processions, colorful religious rituals and ceremonial feasts, held by a people whose sacred calendar was heavily dotted with celebratory occasions. In fact, the very word festival comes to us from the Latin word "festum", meaning holiday or banquet. The Romans of today continue the revelries with a vibrant variety of festivals, some unquestionably modern and others still very much rooted in tradition. For those studying abroad in Italy, Roma offers festivals of all kinds, not to be missed by students sojourning in the city. From the end of March through the beginning of April, Romans welcome the arrival of spring with a range of cultural events. 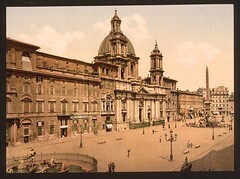 Guided tours of many of Rome's seemingly countless historical sites, including monuments and churches, are organized and made available for free, and a series of concerts take place on the famous Spanish Steps, an enormous staircase which surmounts the steep slope between the Piazza di Spagna and the Piazza Trinit� dei Monti, and which once linked the Bourbon Spanish Embassy with a church under the Bourbon family's patronage. It is this stairway which makes the centerpiece of the Festa di Primavera, for which it is adorned with a pink sea of azalea-filled vases. No springtime study abroad experience would be complete without witnessing this legendary sight. If you're spending a semester at a university in Rome, chances are you're interested in the city's incomparable history. This makes the Natale di Roma, or Birth of Rome festival, a must-do for the visiting student. Held on the 21st of April, Natale di Roma celebrates the birth of a little city-state on the Tiber River that would grow up to rule the known world. On this date in the year 753 B.C., Romulus founded the city of Rome. The occasion was marked in ancient times and is celebrated nowadays with fireworks, dancing and parades around Rome's ancient historical sites, while the city hall as well as many of the city's palazzi, or palaces, are illuminated during the night. So many iconic films have been shot against the one-of-a-kind backdrop of Rome -- think Roman Holiday or The Bicycle Thief -- that the fairly recent creation of the Rome International Film Festival seemed long overdue. Held in October, the high-profile festival now plays host to international films in several different categories. The award statue is shaped like the famous mounted sculpture of the ancient philosopher-emperor Marcus Aurelius. There would be no Europe as we know it today were it not for the Roman Empire, so it's only fitting that the City of the Seven Hills play cultural capitol with a preeminent festival titled "Roma Europa" through the months of October and November. Attracting artists, dancers, writers, filmmakers and digital innovators from across the world, Roma Europa was named one of the top four festivals in Europe by the Wall Street Journal. If you happen to be enrolled at a rel=nofollow [http://www.johncabot.edu/about_jcu/default.aspx]university in Rome for the fall, give the books a rest for a bit and learn the arts at the Roma Europa festival instead. 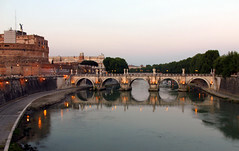 Visit [http://www.johncabot.edu/]John Cabot University for more information about study abroad opportunities in Rome. The ancient and historic lands of Europe have town, villages, and cities where some of them date back to the day of the first historic Christmas. Other mostly established in the centuries that followed but their long histories are closely tied to the holiday of Christmas. Some of have dramatic festivals and snow covered scenery straight out of a storybook. No matter what you're particular religion, spending the Christmas season with your family in the fabled lands of Europe can be a one of kind and all together magical experience. Here are a few of the towns and villages with some of the best Christmas celebrations anywhere in the world. The town of Salzburg is not only the birthplace of the legendary composer Mozart and the setting for the iconic "Sound of Music", it has one of the largest Christmas markets in Europe. It attracts millions of visitors every season to shop the hundreds of stalls, shops, and celebrations as the air fills with the amazing sounds of the season. There are children's puppet shows and choir singing songs, making this place a magical Christmas setting high in the stunning snowy mountains of the Alps. The town is light with million of lights and horse drawn sleighs trot along the cobblestones. There are countless places to find one of kind Christmas treasures, toys, treats, and ornaments. Step into a quiet caf� and warm yourself with a hot cup of cocoa or a glass of wine. This historic medieval town nestled deep in the Black Forest of Germany is probably one of the most magical and enchanting places to visit around Christmas time. Christmas is so important here that they even have a massive Christmas market that is open all year around. The city is transformed into a winter wonderland and the market, known as Reiterlesmarkt, dates back to the 15th century. Aside from the fantastic shopping where shops and stalled are filled with toys, ornaments, and heavenly treats, the town itself will have you swearing Santa's workshop might be just around the corner. The buildings are hundreds of years old and the cobblestone streets give the entire town a very romantic feel. Make sure to stop by and nibble on their signature treat, the Schneeball or snowball, which is essentially sweet fried dough, rolled in sugar. It's truly a winter fairyland. The Christmas market began in here in 1434 and is the oldest and most popular in Germany. The entire city is alight with Christmas lights and there is no shortage of holiday fun to have. From the Gingerbread Festival in early December to the Stollenfest to the Christmas Arch Festival, the holiday events last all month long. Each one brings to life the history, traditions, and customs through carols and dances and the entire city delights in the cheer of the Christmas season. The children are front and center for the season too. Santa and his elves meet with the little ones and there are enchanting storybook cottages that will have the kids sure they have stepped into one of their fairytales. There is also a children's railway and merry-go-round in the children's adventure land. Kids can enjoy puppet sows, story telling or simply sinking their teeth in delicious treats and chocolates. Enjoy authentic gingerbread in the very land where it originated or stop in and a local pub or restaurant to warm your toes. In the land of Charles Dickens, the classic Christmas tales come to life in front of your eyes. Seems as though every inch of the city is covered in Christmas lights. During the holiday season you can enjoy ice-skating and Christmas choirs singing into the chilly night air. A visit to the annual Winter Wonderland and you can see ice sculptures and shop until you drop. There are several Christmas markets that offer all kind of treats, toys, souvenirs, clothing, ornaments, etc, There are shows, plays, and symphonies to get yourself in the mood for the season. There are sleigh rides and Santa's Grotto along with a stroll through the 105-acre wildlife oasis. You can hear the story of Scrooge in London's Wetland Centre. The famous store Harrods also gets a visit from Santa giving the family a chance for shopping, photos with Santa, and even real-life reindeer. You can also see real reindeer at the London Zoo along with Santa and his elves as well. The list is endless and you are sure to stay in the Christmas spirit for a long time. Keep your skin hydrated - the night before you fly, apply a heavier-than-normal moisturiser and apply again in the morning. This will help your skin combat the dehydrating effects of being in the cabin, leaving you more 'fresh faced' when you disembark. If you can, be prepared to ditch your usual foundation and instead just travel wearing moisturiser. Trying to wear sunscreen and foundation isn't easy. If you don't like going without foundation, one option is to take your make-up off just before you board, putting on your moisturiser, and then reapplying once you've landed if you really can't travel without a full face. Alternatively, consider a tinted moisturiser. If you're going somewhere hot then you will be applying suntan lotion to your face. This can sometimes make even usually normal skin become greasy and oily. So travel with some facial blotting papers and gently dab your T-bar area to lift off the oil and eliminate blocked pores. Thick, black, luscious lashes make you look and feel amazing regardless of make-up. So wave goodbye to mascara and have individual lashes applied at a salon before you go so you look a million dollars by the pool. You'll never have to worry about mascara running down your face either. If possible, use a leave-in conditioner in your hair during the day time when you're out in the hot sun, it will protect your hair from drying out and becoming brittle. In hot climates you need to stay hydrated so be sure to drink plenty of water throughout your travels - whilst flying, on the beach all day and also in the evening too. To help you recover from sore and tired feet, lay down against a wall and lift your legs right up into the air, placing your bottom flush with the wall. You'll be amazed at the near instant effect this has on reviving sore and tired feet. Michelle is a frequent traveller and contributor to http://www.help-me-park.co.uk - the meet and greet parking company at London Gatwick Airport. 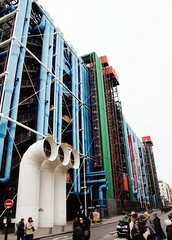 Although the history of the Pompidou Centre shares some light onto why it is here. With the initiative of French President Georges Pompidou who longed for a free public library to gain information but also a multi-cultural centre that would become home to Musee d'Art Moderne and more. The opinion of the Pompidou centre can vary from being hideous to some and for others being an interesting tourist attraction in Paris, which has picked up popularity over the years. With millions of visitors from around the globe who visit the Modern Art Museum and the Pompidou itself, it has become one of the top places to visit while on holiday in Paris, suitable for all ages. Within the middle you can find Biblioteque Publique d'Information, or for short, BPI, and it is a free to use informational library which provides many documents - both visual and audio, materials and much more which are up to date. On the same floor you can also find the Mezzanine cafe. In the centre also there is the Musee d'Art Moderne museum which showcases many different arts which over the years have accumulated to over 60,000 different pieces of work to make it the largest collection in Europe which covers both the 20th and 21st century. Obviously as you can imagine the building is very large, but even so it cannot display all of the artworks at once so there are different exhibitions over the year. With another part of the museum found on level 4 dedicated to contemporary art and a modern art section one level higher on level 5. This tourist attraction has an unusual construction as we mentioned it is known as the inside out building and it makes the construction of the Pompidou centre rather unique due to having all ducting, escalators etc on the outside. But in addition to the museum and library, there are also two cinemas found at the Pompidou Centre, where one is on the 1st floor and the other is in the basement level where you can go and watch a film of your choice. Also there is an area made for children for ages twelve and below, known as the Galerie des Enfents where workshops are available. As well at the 13/16 Studio which is designed specifically for teenagers with interactive workshops and it is available for free. In other nearby areas you can find other sections including a graphic design studio, graphic arts galleries and other sections dedicated to media and film as well as a bookshop, cafe and much more. Centre Georges Pompidou also has a visitors lounge and various information areas for the Musee d'Art Moderne, which generally translates to the Museum of Modern Art, as well as terraces on the 5th floor and not forgetting the restaurant named Le Georges on the 6th floor which proves fantastic views across Paris. The centre is open every day except for Tuesdays and on the 1st May. From 11am it opens through to 10pm, although on a Thursday it stayed open an hour longer for exhibitions on the 6th floor. 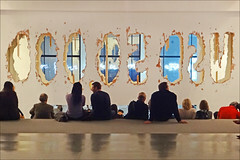 The Musee d'Art Moderne is open from 11am to 9pm and has the same day closings as the Pompidou centre, whereas the BPI is open from midday to 10pm on weekdays and 11am until 10pm at weekends. The centre is also accessible for those with disabilities with the entrance for them being on Rue du Renard is needed to be used, instead of the main entrance the piazza on Place Georges Pompidou. Although there are also themed visits which are held here throughout the year in accordance to the different temporary exhibitions which are on display at the time as well as different workshops available. Additionally there are also documentaries and films about the artists available in the lounge of the Museum of Modern Art on the fourth floor. Also if you wish for an audio guide you can get one at the stand beside the bookshop in either English, French, German, Spanish or Italian. Access to the centre for all the exhibitions and museums is valid for a whole day as well as giving you access to the panoramic views of the 6th floor. And for under 18s the permanent exhibitions of them museum are free, as well as being free for everyone on the first Sunday of every month. There is also a panorama ticket you can buy if you are more interested in the view which can be seen, although for people under 18 it is free and those under the age of 26 who are a resident of the EU are also free, and only being €3 for those who do not fall into those categories make for a great way to see out over the rooftops of Paris and possible see some of the rel=nofollow [http://www.eutouring.com/tourist_attractions_in_paris.html]tourist attractions in Paris. So if you are visiting for a holiday in Paris the Pompidou Centre is a great place to visit with just one of the many museums in Paris and other tourist attractions in Paris for you to visit, great for any age. [http://www.eutouring.com]www.eutouring.com - Published by Kate Davis - European traveller and author of travel to guides to Paris holidays along with research for French monuments, tourist attractions, museums and much more by helping people to get the most out of a holiday in Paris. London, as England's capital city, has so much heritage and culture on offer it is not surprising that it is home to some of the best conference and dining venues in the country. From the huge and grand to the small and cosy, there will be something on offer that suits you. However, London is also home to a wide selection of venues that cannot be found anywhere else, to venues that have historical significance, a unique-selling point or are just something fresh and different. Here are a selection of 10 unique venues for those looking for a more unusual venue or for those who simply like to peruse and imagine what kind of event they would hold. The Royal College of Physicians is England's oldest medical foundation and is well known for its high standards of medical practice. However, a lesser known facet of the College is its conference and dining facilities. The building itself is in the modernist style but the rooms on offer vary in d�cor and style. The Censors' Room features a much more classic style with wood panelling while the Council Chamber is a modern circular hall with an impressive ceiling. The decoration is not the only draw, the College also has a collection of artefacts, portraits and manuscripts on display throughout the building making it a stand out venue. Events can also be held in the Medicinal Garden which is home to over 1,300 plants from the history of medicine. 30 St Mary Axe is a skyscraper in the financial district of London that has been nicknamed 'the Gherkin' by Londoners in a reference to the building's distinctive shape. 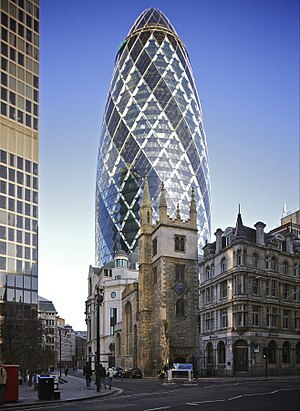 The Gherkin is 180 metres tall, was opened in 2004 and has since won a number of awards for architecture. For those that want a spectacular view the Gherkin is the right choice. Searcys Restaurant and Bar covers the top floor of the building and offers fantastic 360 degree views of the London skyline. The venue is only available to members and tenants during the day but is available for hire in the evenings and at the weekends. The name of this venue is not just a misleading misnomer, the venue is actually comprised of a roof garden that covers 6,000 square metres on top of the former Derry and Toms building in Kensington. The gardens are Grade II listed and are divided into three themed gardens; Spanish, Tudor and English Woodland. There are not just a vast variety of plants to see but the Gardens are home to fish and wildlife, including four resident flamingos. The Roof Gardens are open to the public but can be hired out for private events in the daytime or the evening all week excluding Saturdays which are only available during the day. Ladur�e are a French patisserie company that specialise in making luxury cakes and pastries and are famous for their macarons. The Ladur�e premises in Covent Garden are designed to look like a vintage Parisian tea house and are available for private hire. This venue is the perfect choice for those with a sweet tooth and a love for pastels, but savoury items are also available. If you are looking for somewhere cool for your event, look no further than the ICEBAR. The very unique selling point of this venue is the fact that everything is made from Swedish Torne River ice. The bar is kept at -5 degrees Celsius and everything, from the glasses to the tables and the bar itself, are made from ice. Sessions in the ICEBAR last for forty minutes and each guest is given a designer cape and gloves. The venue is completely redesigned with a new theme every year. The venue also hires out heated, and less icy, dining rooms and lounges. The Folly is an aesthetically unique venue that brings a feeling of the outdoors to London. It describes itself as London's secret garden and has a six foot Norwegian tree trunk as a focal point. The Folly offers food and drinks but also has flower arranging classes in its flower shop and butchery classes in its deli. The Folly has a distinctive bar styled like a beehive and is decorated with a variety of plants and flowers. For those looking for something different for their event or party the Tower of London may be the perfect choice. Although hundreds of years ago the Tower was a place that many people feared to go, now it is a historically fascinating and wholly unique venue. The Tower has six function rooms available for hire, these include the Martin Tower - home of the Crown Jewels - and the New Armouries. As well as having an exciting place setting for events, you can also choose to have a private viewing of the Crown Jewels or a Yeoman Warder tour as an extra. The Cutty Sark is probably one of the most famous, and sole surviving, clipper ships in Britain. It was built in 1869 and was used in the tea trade. The ship was badly damaged by fire in 2007 and has only recently reopened to the public after a huge restoration project. The ship has been suspended from the ground, allowing visitors and guests to walk around the ship and get the full effect of its brass hull. The huge space around the ship can be hired out for events, but spaces on board the ship, the Tween Deck and the Master's Saloon, are also available for smaller parties and events. 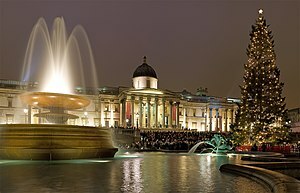 If you are interested in finding a venue in London for an event then you can visit [http://www.rcpevents.co.uk/]RCP Events.